From workplace injuries to cyber security, businesses have a lot to consider when evaluating the safety of their operations. Consult the infographic below for some useful tips. 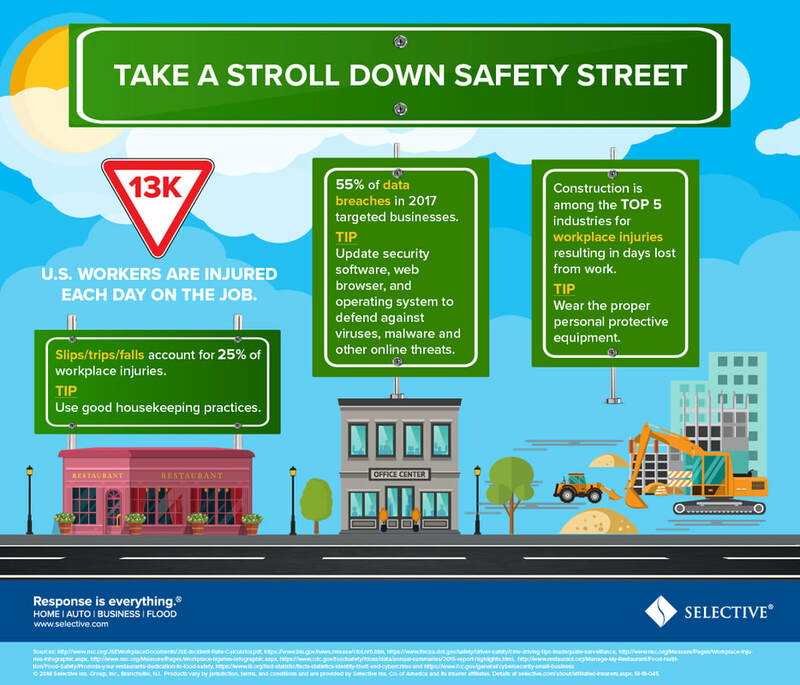 While helpful, you don't have to know all the safety risks for your business. Speak with an agent to find out more about getting the proper insurance coverages for your business.